Jason has more than 11 years of banking experience, including three years focused on consulting with business owners and eight years in retail banking. During this time, he has held various roles such as a personal banker, financial center manager, and business banking relationship manager. Jason’s abundant experiences allow him to successfully consult with business owners not only surrounding their company’s goals but also tying them into their personal objectives. He takes time to fully understand their unique needs and delivers smart financials solutions. 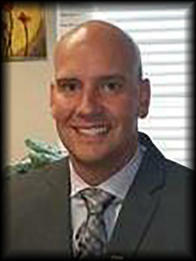 Jason was born and raised in Southwest Michigan in the small town of Mattawan. He attended Kalamazoo Valley Community College to obtain an associate’s degree in business administration then continued on to Western Michigan University where he earned a bachelor’s degree in business marketing. Previously, he held the following license designations: Series 6, 63 life and health. Jason is happily married with three beautiful children. He has been involved in numerous volunteer opportunities in his community including Small Business Development Center (SBDC), Kalamazoo Fare Games, Big Brothers/Big Sisters, United Way, Junior Achievement and Mattawan Business Association.